From Manhattan to Malibu, water and wastewater utility owners and managers are increasingly turning to bundled, full-service solutions for their infrastructure needs. A clear market trend has emerged, with more demand for integrated project delivery models such as design-build to collaboratively develop capital improvement projects that otherwise couldn’t be built. These models are showing utility owners a better way to deliver projects – on time, on budget and with as few hiccups as possible. Design-build's efficiency is also meeting demand from ratepayers who expect their utility owners to be good stewards of their tax dollars. This second in a three-part series takes a look at delivery innovation and new technology that helped a wastewater treatment plant in Atlanta stay on schedule even while overhauling the city’s plan for grit removal. Industry experts say collaborative project delivery methods are laying the groundwork for more forward-thinking solutions that help utilities nationwide meet the challenges of today. 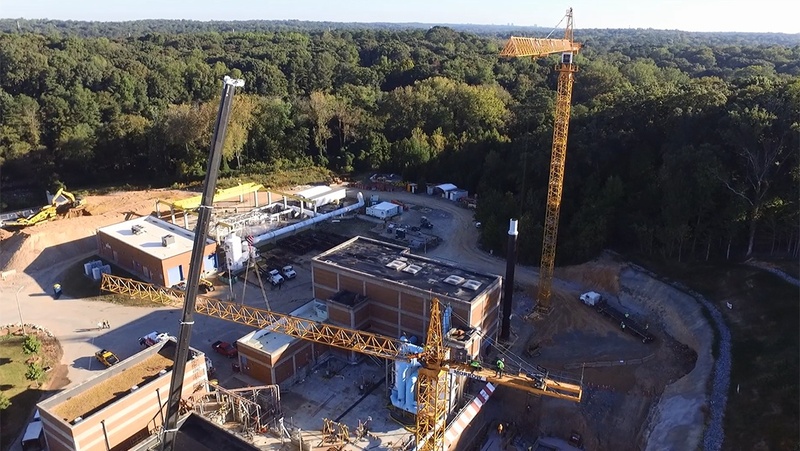 When the City of Atlanta needed to fix a chronic grit-removal problem at a wastewater treatment plant, the existing headworks facility was "in desperate need of an upgrade,” according to Ray Williams, Brown and Caldwell’s managing engineer and project manager in Atlanta. The city issued a proposal for an upgrade at the R.M. Clayton Water Reclamation Center, which treats an average daily flow of 122 million gallons per day with peak flows frequently exceeding 320 million gpd of wastewater for discharge to the Chattahoochee River. What began with a preliminary conversation between city staff and BC’s design-build experts during an adjacent project evolved into an overhaul of the city’s plans for grit removal. The city had specified a solution in the RFP; however, the design-build team recognized early in the design phase that this application may become problematic for operators. Delicate and sensitive does not always align with the mission of a grit removal structure, Williams pointed out. The facility is separating everything from tires to doors to cinder blocks and 57 stone from Atlanta’s wastewater collection system. The brute force required to separate, wash and remove grit compared to the "finesse” of technologies required to concentrate and remove grit "is basically the difference between a hockey game and a ballet,” he said. The team had to address the specific characteristics of this site, where the need required an emphasis on coarse grit removal over fine particulate removal. Williams observed that during early collaboration with the city, something critical happened: "The city saw the value of our alternative solution,” he said. The team modified its equipment plan, streamlining the process for physically removing grit from the wastewater stream. Through the use of design-build, the team was able to propose these changes at no extra cost to the project, and without adding any additional time. These solutions are expected to increase plant reliability and operational simplicity for years to come. That’s critical in the wastewater treatment industry, Williams noted, where city budgets nearly always run low and plant operators seldom have time or resources to spare. Nolton Johnson, senior director with the City of Atlanta’s Department of Watershed Management, said the headworks project benefited from the design-build delivery method, notably in keeping the project on schedule even with the new alternative grit removal proposal. Johnson said equipment failure and excessive operation and maintenance issues had stymied the plant during the past several years. A critical part of the team’s success in this project delivery was building trust with Atlanta officials during a previous project that entailed nearly six years of weekly meetings. The same BC staff members who had worked on the previous effort provided expertise on the headworks project. "Keeping the team together was a critical, strategic decision,” Williams said. This was originally published at Brown and Caldwell.